Action: Purge a creature in play. If you do, your opponent gains control of Spangler Box. 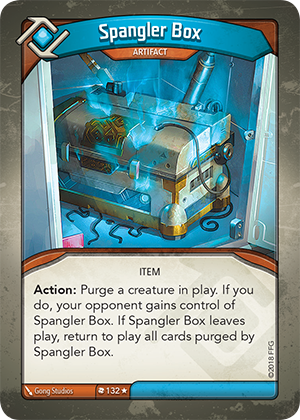 If Spangler Box leaves play, return to play all cards purged by Spangler Box.